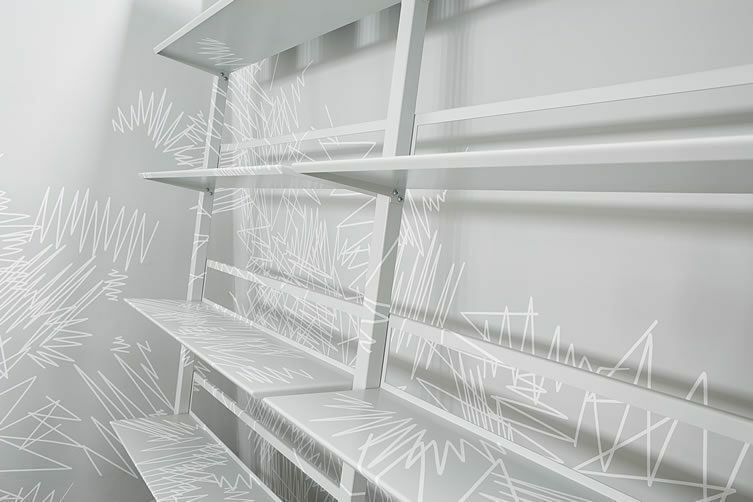 By catching a glimpse of its inside through the spacious shop windows, you can tell that a design perfectionist has had his hands all over this. 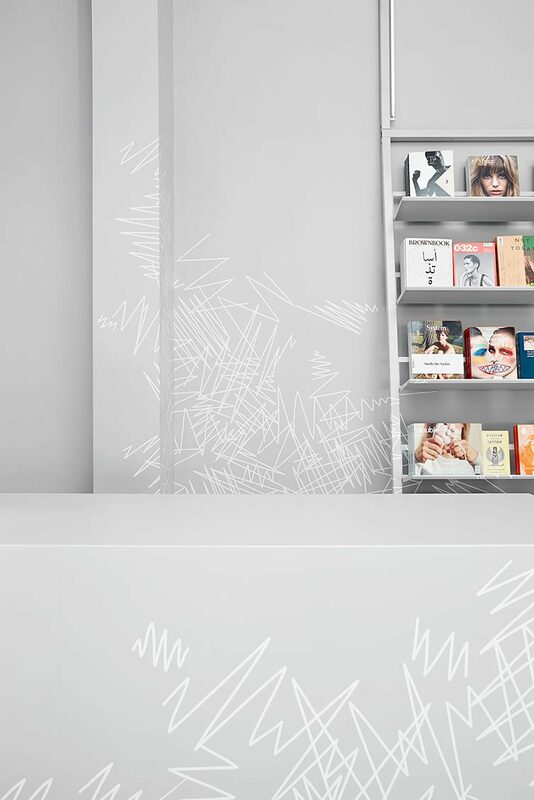 Put together by Munich-based firm Designliga, all interiors and furnishings are in a uniform shade of light grey; from the ceilings over bookshelves to the floor. 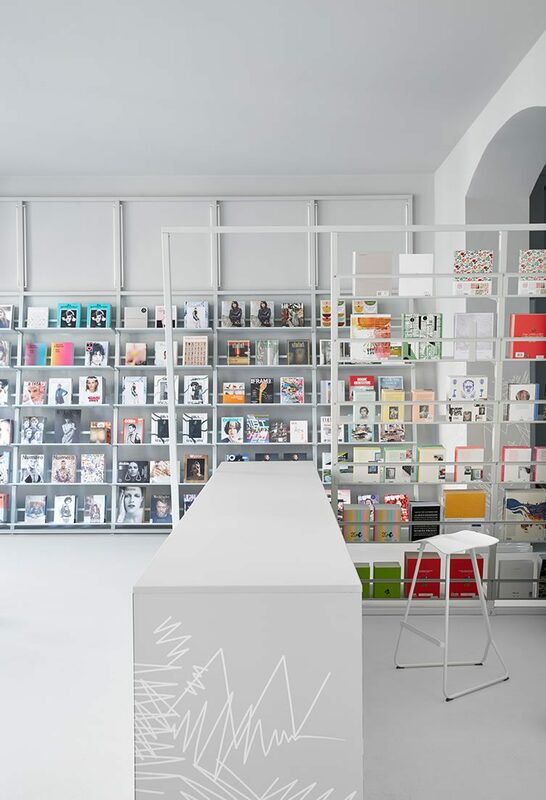 The sequel to soda.MÜNCHEN, soda.BERLIN comes 11 years after redefining indie-publishing retail in the Bavarian capital. 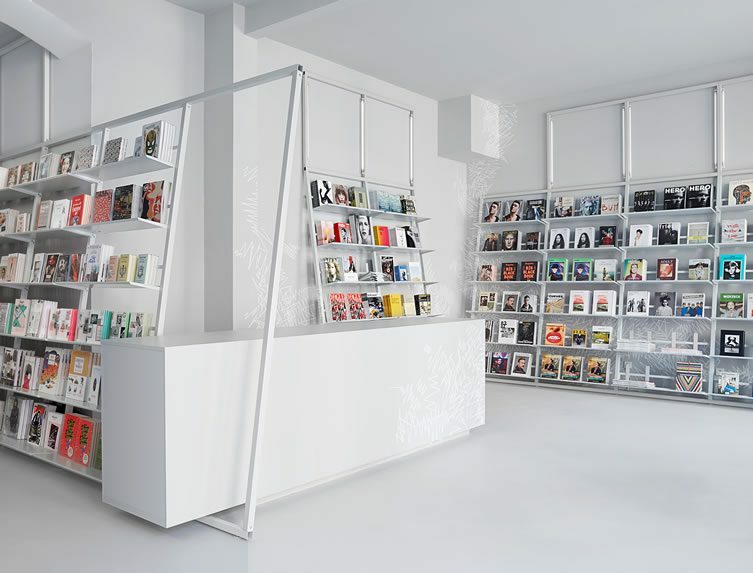 The original concept came to Sebastian Steinacker’s mind whilst living in London, spending plenty of time strolling around its characteristic bookshops … developing a deep-rooted passion for print media; Steinacker is a big fan of the overall sensuous, tactile experience of books and magazines. 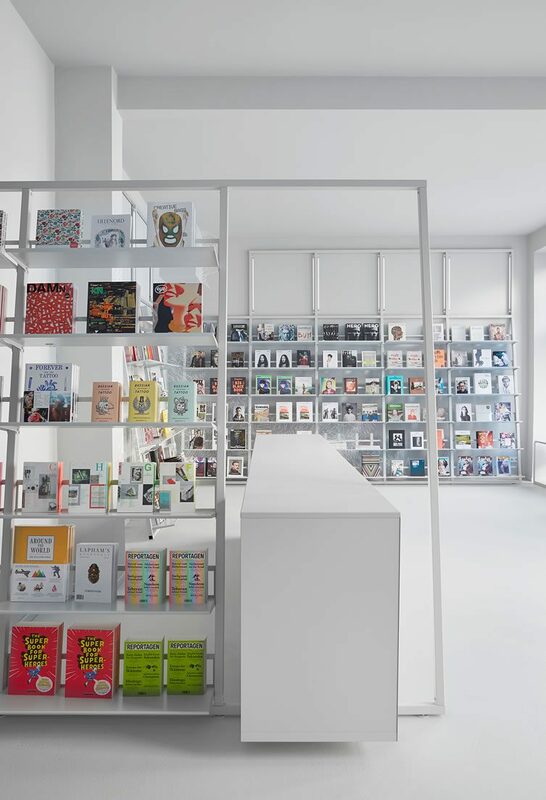 At soda., all publications are presented cover-to-the-front in the shelves, and are perfectly illuminated by the interior lighting system — displayed almost like artworks in a fine gallery. 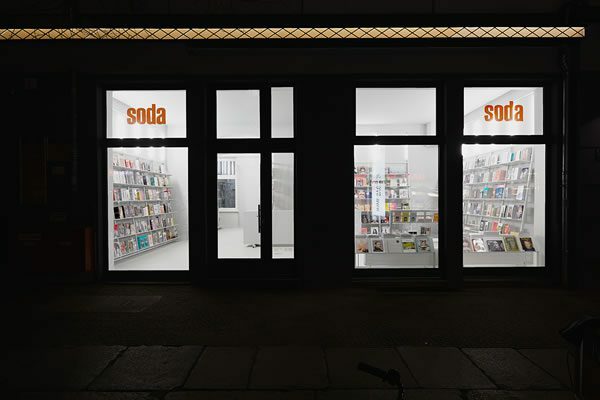 soda.BERLIN is a temple for creative minds seeking inspiration in fields of art; illustration; photography; architecture; all forms of design and culinary art. 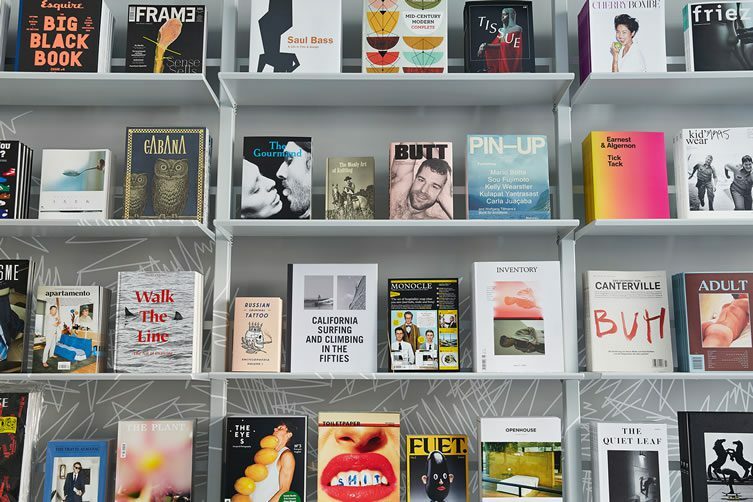 The motto ‘curious publications for curious people’ sums up the experience perfectly. 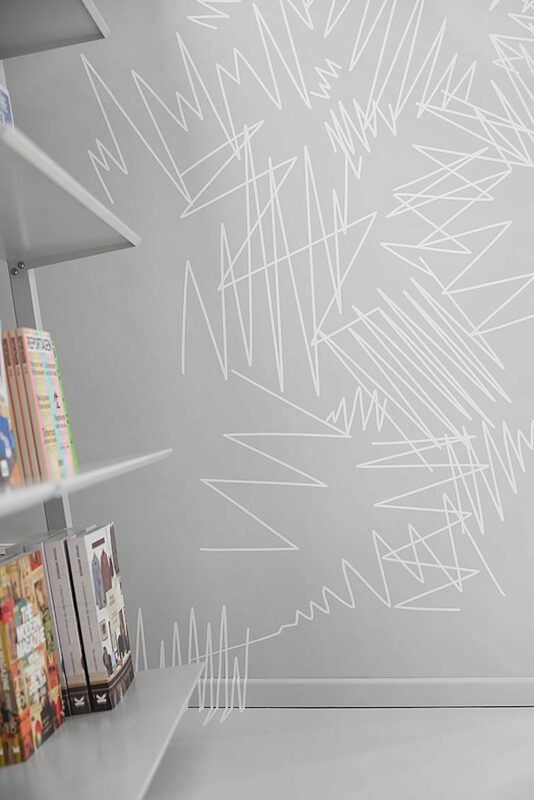 The lure of well-known indie titles can lead you into a thrilling journey through lesser-known publications — the thrill is in the hunt, and soda. is the perfect hunting ground.